When I first made the decision to go plant-based back in 2013 for health reasons, it was not initially a family affair. It was very much, “this is daddy’s food and this is everyone else’s.” My wife and I quickly saw this method would not be financially viable nor was it in the best interest of our family’s health and well being. We decided eating plant-based needed to be a change in our life as a family. At the time, my children ranged in age from 9 months to 11 years and most of them had their own reaction concerning the dietary journey for which we were about to embark. The two oldest didn’t exactly share my “passion”; the next two in line were pretty indifferent, but didn’t like the idea of giving up certain snack foods; and our 9 month old had known nothing but a plant-based diet, which was AWESOME! Transitioning our family to plant based eating was not an overnight change, but it did happen. Making the decision to go plant-based, or vegan, is a big pendulum swing and pretty much goes against the grain of the populous in this country and more than likely, almost everyone you know. Successfully integrating your family into this lifestyle can very much dictate your own success in becoming plant-based and that’s why it’s important to have support, not resentment, from the ones you love the most. Especially, your spouse and children. You want to foster support and excitement, not resentment. I realize it’s easier said than done, but here are a few tips that might help you transition your family into a plant-based lifestyle and foster that encouragement. There will be bumps, but take heart, there will also be many mountain tops of victory. Prepare: Once you and your spouse have made the decision to go plant-based, prepare your children. Let them know the pantry is going to be looking much different than it has in the past; meal time is going to require more preparation; they’re going to notice some things missing from the pantry and fridge, such as their normal, everyday pre-packaged snacks, soda and juice. There will be less frequent trips to fast-food establishments. It may come as a shock or even be upsetting to them, but it’s best to prepare them rather than just blind-siding them with it. By preparing your children, you can comfort them through the shock. You’ll probably be surprised at how well children respond when you actually take the time to talk with them instead of just springing it on them. It makes them feel as if you actually value their thoughts and allows you to answer their questions, providing an opportunity for great conversation. Involve: Include your children in things like the grocery shopping and meal planning. Make food fun! Have a pizza night and let them build their own pie. Make pancakes and provide a ton of toppings: fruit, dark chocolate chips, nuts, etc. Do a taco night and let them fill their own tortilla. The possibilities are endless. Children love to be involved and will be more prone to eat something they “cooked” themselves. Once a month, we turn the kitchen over to our two oldest, currently teen-agers, and let them choose and cook the meal. It’s awesome watching them figure out how to make things plant-based if it’s not in our normal rotation. Baby Steps: It’s OK if you’re children don’t go plant-based overnight, mine didn’t. Remember, you want to set them up for success over the long haul. Sometimes, they might respond best if you gradually ease them into it. My wife and I started by removing all the dairy from our house (milk, cheese, butter, yogurts, etc.). 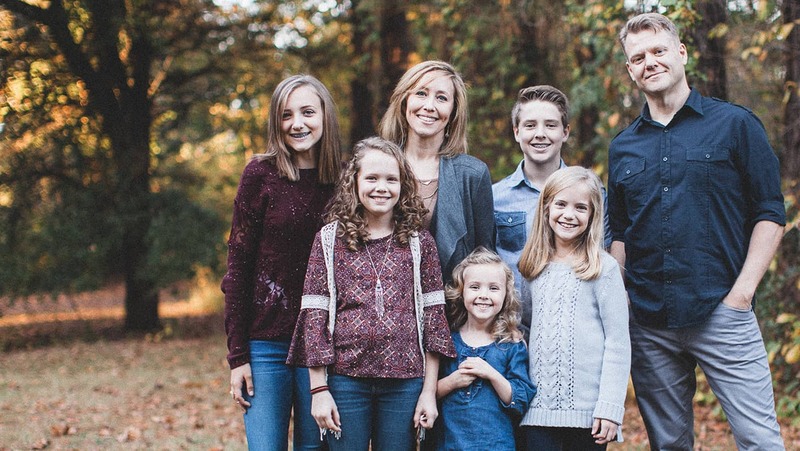 Three of our five children had dairy allergies and had been on soy milk once they stopped nursing, so this was an easy win and a great starting point for us. Look for the easy and quick victories. The “Fire Cadet” starting point in the Engine 2 Diet is also a great place to start. Week 1: no dairy or refined foods. Week 2: cut out all animal meats & products. Week 3: Get rid of all the oils. Week 4: You’re a plant-strong family. This helps to “usher” the family into a new way of life without a complete shock to their system. These suggestions are not etched in stone, they are just what we have learned from experience. 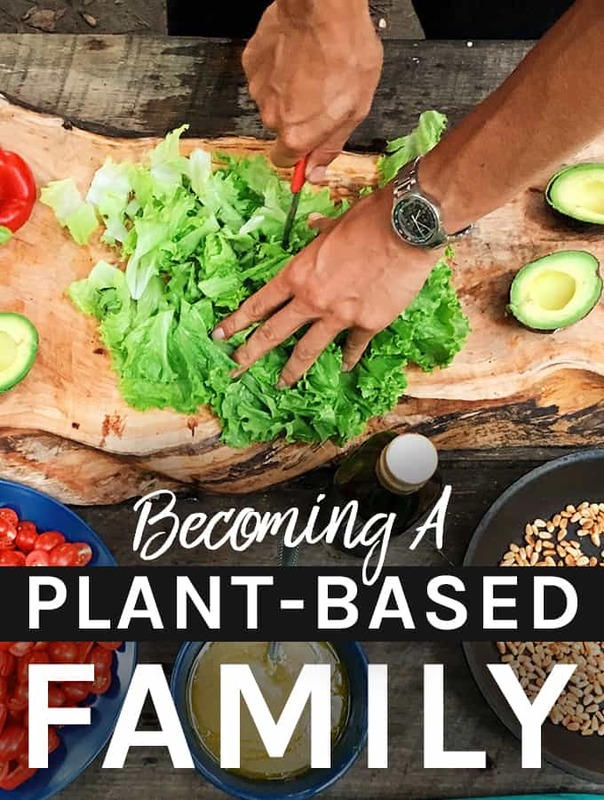 I hope these ideas help you in your journey to create a plant-based family! I’m super curious about your 9 month old. How did that journey go? All the health professionals I’ve visited talk about NOT including young kids in these things. Specially because of their B12 storages being so low and other concerns. What did you guys do? Also, what about the oils? You don´t use olive oil or coconut oil? Nini, thanks so much for your questions. I’m going to have my wife answer the ones about B12, food, etc. just because she was nursing for the first 9 or 10 months. But, I will say, our 9 month old was always super healthy and was NEVER low on anything. (DISCLAIMER: I am not giving medical advice:) On the issue of oil, that is correct. We use NO oil whatsoever when cooking. We don’t believe it’s necessary and we don’t see there is any nutrient value, just empty calories and fat. That being said, everyone must choose what works for them, but this is where we are on our journey. I will have my wife respond soon. Again, thanks so much for your question. Hi Nini, I am Shane’s wife, Andrea, and would love to address your questions. Early on, we discovered that our baby was allergic to dairy, soy, beef, and eggs and I had to cut that out of my diet while I was nursing – that was before any of us adopted a plant based diet. I am not a doctor and cannot give medical advice, but I whole heartedly believe a plant based diet provides what we need to thrive, even babies. Sadly, most doctors spend very little time in medical school studying nutrition. I do not know the science behind B12 stores, but it is my understanding that it passes through breast milk to the nursing baby and the body does a good job of keeping B12 reserves. Once I weaned, we gave her unsweetened almond milk fortified with B12 vitamins. We also use a lot of fortified nutritional yeast in our everyday cooking. When our youngest started eating table food we gave her avocado nearly every day since babies need good fats for their brain development. She also had a wide variety of veggies and fruits which supply more nutrients and things that I don’t think scientists have even begun to discover. I truly believe our bodies know what to do with whole, plant based foods. Our youngest has always been around the 50th percentile for weight (never under or overweight) and rarely gets sick, and when she gets a virus, it is usually very short lived. She is a healthy, bright, witty 5 and a half year old today. As for oils, I recommend listening to youtube videos or reading articles by Dr. Esselstyn who has studied the effects of oil (https://www.youtube.com/watch?v=b_o4YBQPKtQ) and can go into much more detail of why we don’t need it. That being said, while we don’t cook with oil, occasionally we do have a vegan mayo or will use vegan butter for a birthday cake recipe, but we usually suffer with upset stomach afterwards. Our pediatrician tested our 11 year old’s triglycerides last week and they were super high…..because, unsupervised, she had loaded her breakfast up with vegan mayo. The next day, her fasting level was normal. That was enough to convince me! With that I saw without a doubt that oils effect our blood immediately. There are plenty of good fats in nuts, seeds, avocados and in the trace amounts in our grains, fruits, and veggies; I don’t believe we need it from other sources. Thanks for spreading the wfpb message! We are also a plant based, no oil household. In response to your birthday cake comment, we use the Adonis Cake recipe from the engine2diet website for a treat. I have made it exactly as written, but have also made it without the cocoa powder to make a yellow cake, or added lemon extract for a lemon cake. It always turns out great! Thanks, Nancy! Love the idea on the cake. Can’t wait to try it like that. Thanks so much for this post! We have three little kids (3, 8, and 11), and I’ve been slowly trying to transition us as a family to whole foods, plant-based. But, I tell ya, there’s not much out there in the whole foods community for families–it’s mostly older folks (no offense meant, but it is). So, it is so great to see this post. We are really struggling with snack foods right now, especially yogurt and cheese sticks. Man, can our littlest eat some cheese sticks! And, they all love crackers. A post about that would be much appreciated, if the have the interest and time. I’ll try out some of these tips! Thanks!